A golf lover's haven, The Address Montgomerie Dubai overlooks the lush green fairways, glistening lakes and undulating hills of its 18-hole golf course, designed by Colin Montgomerie. Guaranteed to challenge players of all levels, this has quickly become one of the Middle East's the most desirable golfing destinations. Guests are treated to free golf rental equipment, extensive practice facilities, two golf shops and access to the Clubhouse. For those who want to relax away from the golf course, The Address Montgomerie Dubai has a beautiful outdoor pool and open air pool deck that offer picturesque views of the 18th green. The Fitness Centre has extensive facilities. Dedicated staff are on hand to guide and advise guests, helping them to achieve their personal goals. Serving international cuisines, Monty's, Links and Nineteen boast stunning views across the golf course. Links is a dynamic Bistro-styled restaurant that regularly hosts lively theme nights. Nineteen specialises in grill cuisine that is prepared in an energetic show kitchen. Monty Cristo is a relaxed lounge where guests can choose from a selection of fine cigars and spirits. 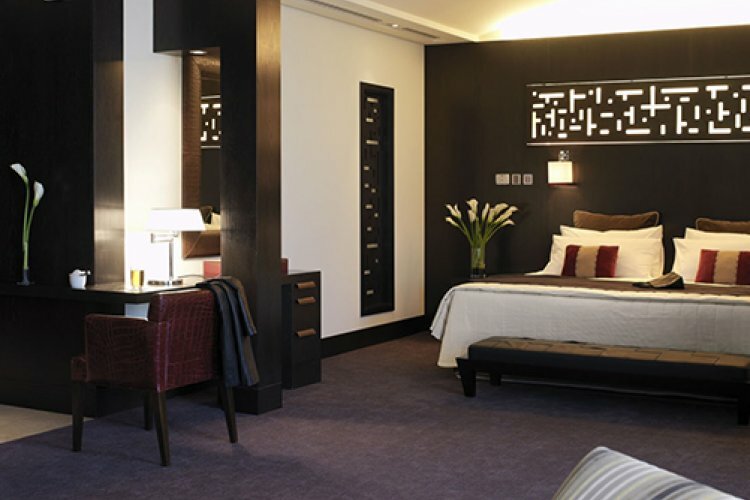 The boutique rooms and suites are sleek, elegant and luxurious, some with private balconies, and views of the Dubai Marina Skyline, Courtyard or the Golf Course. They are beautifully finished with fine details and designs. 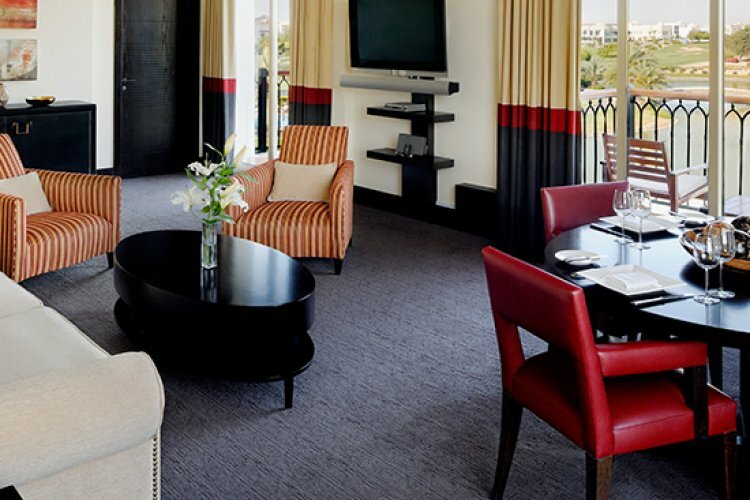 24 hour room service is available to ensure that guests have the most relaxing stay at The Address Montgomerie Dubai.